The December 21st Solstice of 2012 is finally here… and although the media has had a field day with their dooms day predictions and shocking events continue to weather and world, the angels assure us we are stepping into a new paradigm of love on Earth. Archangel Michael and Archangel Haniel both delivered amazing messages that help illustrate how 12-21-2012 is indeed the end of days for negative energies and attachments… The number of lightworkers on Earth, like you, who are meditating, grounding their energy into earth and consciously increasing their spiritual vibration will cross the tipping point. The timing now is perfect, to release the density and negativity of the past and to start embracing a positive future. There is more love and more light on Earth today than there ever has been in current recorded history. To the point that you are able to consciously release negativity, dense energies, earthbound attachments and more by simply willing it into being with the help of your guides and angels. 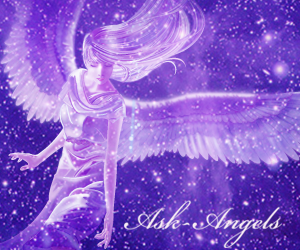 Together, we are co-creating a better world… You, Me, The Angels who surround us right now… All connected in with the one energy that makes up All That Is!